There are places that can't just be defined in geographical terms. Rimini is one of them. Obviously, Rimini means the beach and the seaside, long the capital of summer fun and nightlife, but it's also a city with more than two thousand years of history that started when it was founded as a Roman colony in 268 BC, and with a wealth of monuments and traces left by the many generations that have succeeded each other over the centuries, from the Augustus Arch and Tiberius Bridge to the Pigna Fountain and the Palazzo dell'Arengo. But even this is not everything that Rimini means. Rimini is a place of the spirit, and above all of the spirit of the celebrated movie director Federico Fellini, who was born here in 1920 and lived here for the first 19 years of his life. But even after he moved away, Rimini continued to be important for Fellini, often returning here, telling its stories, idealizing it and transfiguring it in his masterpieces. Fellini's Rimini is therefore, first and foremost, an idea, a feeling, a gesture of the spirit, easy-going and irreverent in I Vitelloni, but lovably nostalgic in Amarcord. Amarcord Beer draws its inspiration from both these facets of Rimini, from its physical aspects of geography and history, and from the soul and the spirit of Fellini, linked in a bond that is more than a simple attachment to the territory, which nevertheless remains one of our fundamental resources, but that is far more a kind of "world vision", where people, authenticity, sincerity and the pleasures of sharing company and friendships are still essential values. The spirit of Fellini, which some of the founders of Amarcord Beer encountered while they were still only teenagers, precisely when the director was working with Tonino Guerra on the filmscript for Amarcord, seems to have permeated all the subsequent meetings with the many artists who have collaborated in the brewery's creative adventure, from Tonino Guerra himself through to Milton Glaser, Garrett Oliver, Robert Niccoli and Eron. 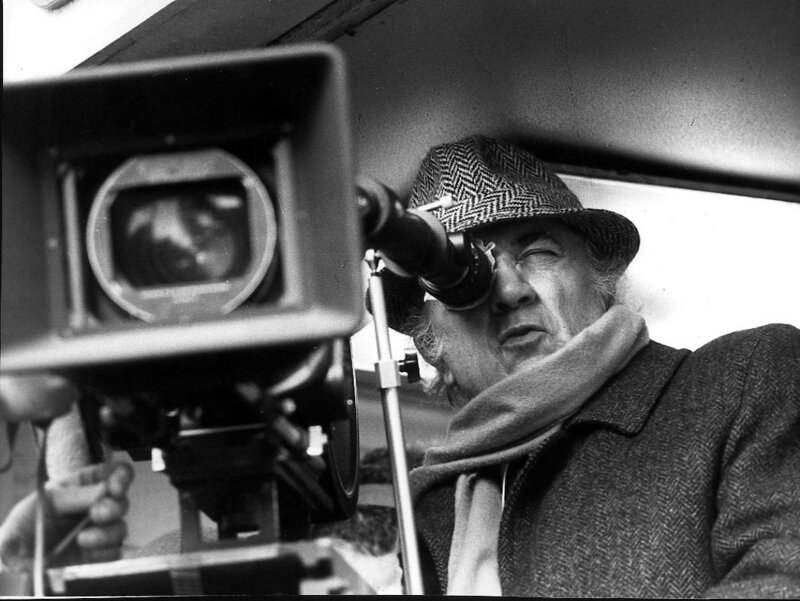 Federico Fellini won the fourth Oscar award of his career with Amarcord, and it is the movie that probably best represents the universe of his values. "Amarcord" is a local Romagna dialect word that means "I remember", and its sound has a distinctly poetic note suggesting a thinly-veiled nostalgia for a past that was more genuine and authentic. The name of the brewery, which opened in 1997, therefore combines a tribute to Fellini as an artist, the land of Romagna, and the significance of a single word "Amarcord" that blends values with a consistent corporate philosophy. A name that, despite being indissolubly linked with a specific context, can nevertheless be easily understood by everyone. And shared by everyone. 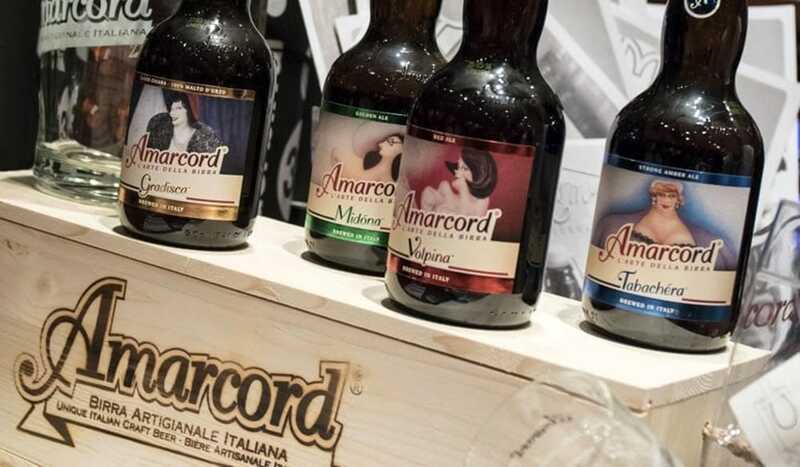 If the heart of Amarcord Beer beats firmly in Romagna, its horizons stretch all around the world. Because if beer on the one hand means technical expertise and creativity, on the other it also means sharing and teamwork, and this is why we've always liked to think of some of our beers as the outcome as a meeting between creative minds. Or more simply, between brewers who love to do their job well, following their feelings and intuitions. They may have come from different directions and experiences, and their brewing creeds may be different, but these collaborations are capable of creating truly excellent results. And even fine friendships. Garrett Oliver is certainly one of the most iconic characters of the brewing revolution that started life in the USA in the mid-1970s, and that then swept almost the entire world in the space of just three decades. Brooklyn Brewery's Brewmaster since 1994 we met each other along beer paths..